Visually this bud reminded me a lot like the Fruity Pebbles we had a few weeks back: very colorful, dark green, light green, red hairs, some purple, VERY dense, very well trimmed (no fan leaves) and the buds were made up of smaller buds kinda stuck together. 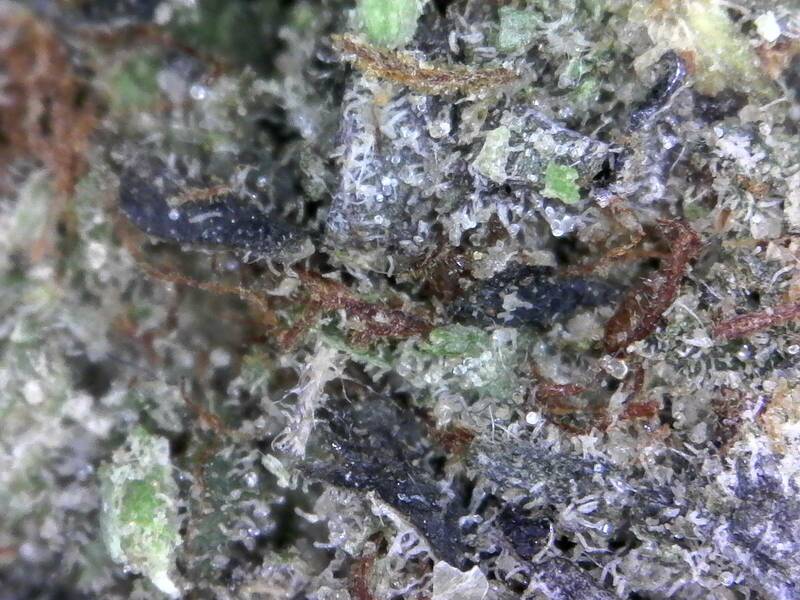 This hybrid indica was rated as 70/30. It yielded a strong cheesy smell which we've seen in other buds like the blueberry cheesecake but this one was REALLY cheesy, like cutting into old cheese. It ground up to a nice light colored bud and also maintained that cheese smell. I was expecting an equally sweet smell when vaping tho and was met with more of a baked-good smell, not the type that smells after the vape is spent but fresher baked good smell. With this also came a bitter after-taste. Even tho the taste in the vape wasn't that great, the effects kicked in immediately. Probably the best part of it was actually lighting a flame to it: VERY smooth, a bit heavy on the lungs (maybe the high thc?) but also the effects kicked in immediately. Overall got to be a very body buzz relax, but quite a strong sativa feeling of alertness, social, creative and a creeper feeling that starts off at around 10 seconds and peaks after 2-3 mins. Isn't necessarily a good thing to smoke before going to bed as the sativa effects are strong and yet too big of a body buzz to go out and party. Burns a light grey, light white ash with some darker spots and a few white spots. I would describe this as something you would want to smoke a joint from but not necessarily vape both in terms of enjoyment and strong effect.